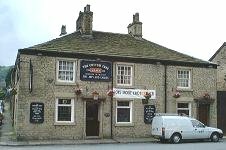 A small town pub of the old style, cosy, a good place to drink beer, and lacking any modern features. Cleaned up and given a coat of paint without spoiling it’s traditional feel. They have won several awards in 2016 and 2017, from the local CAMRA group and from Punch Taverns. Brews: Regulars Adnams Southwold and Draught Bass. Three guest beers from the Punch range. Enclosed beer garden to the rear. Live music, usually on a Friday evening. Finding it: Adjacent to the bus turn round at the roundabout junction of Ingersley Road, Church Street, Palmerston Street and Shrigley Road.